The skin is one of the major organs of elimination in the body. By keeping the skin free from dry, dead skin cells, efficiency of the skin to remove wastes from the body is enhanced. Skin brushing has been practiced in many cultures over many years, as part of their daily hygiene routine. Springs Natural Medicine offers lab testing, supplements, and support of many detoxification procedures. Phone consultations are also available. 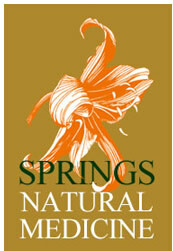 Contact Springs Natural Medicine today! The best skin brushes are natural vegetable bristle brushes, although a loofa brush or a baby’s hairbrush can also be used. You can find these brushes in most health food stores. Skin brushing is best done on dry skin, prior to your shower or bath. Brushing should be gentle and can be done in short strokes. Start by brushing on your legs. Brush from your toes towards the center of your body, as this is the direction of venous and lymph flow toward your heart. When finished, your skin will tingle and might be a little red, but do not brush so hard that your skin is bright red. Next, brush lightly up your stomach and lower back making sure to include your buttocks. Move to your arms and brush from your fingers to your shoulders in short strokes toward the center of your body. Finally, lightly brush your shoulders and upper back toward the center of you body. Do not brush your face, as this skin is very delicate. However, you can lightly brush the back of your neck. Some of these areas may be more easily reached with a long-handled skin brush. If you are unable to reach all these areas, just brush what is most comfortable for you to brush. Berkowsky N.D., B. Forgotten Art of Skin Brushing. British Naturopathic Journal. 17 (1), 2000, p.12-15.